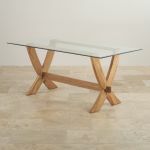 Natural solid oak combines with graceful glass in the Reflection dining table. 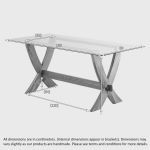 This is a table that will enhance the effect of the light in a room, with its 10mm thick glass top. 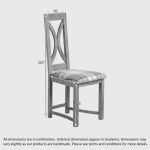 In this set, it’s matched up with our natural oak loop chair. 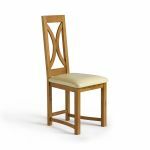 The cream leather upholstery reinforces the light feel of the glass. 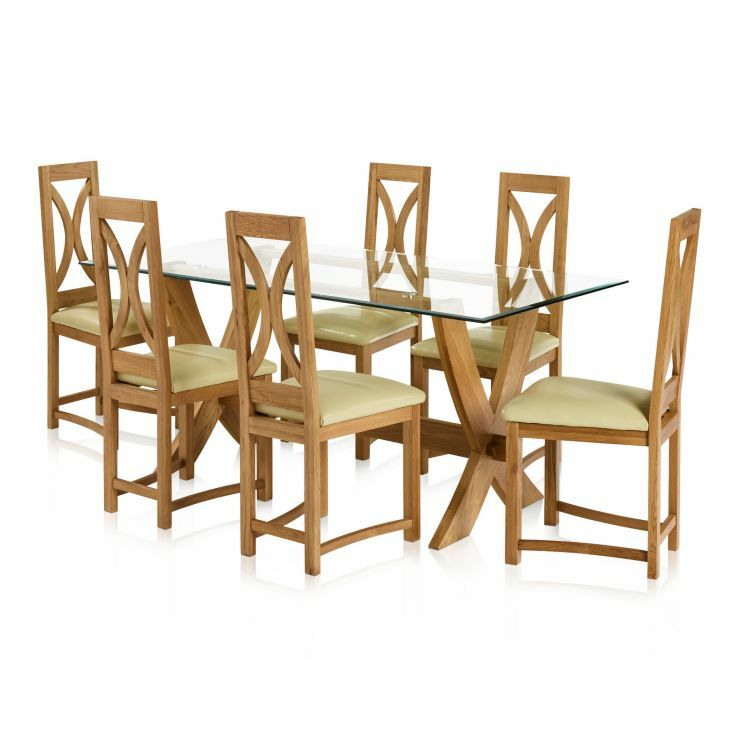 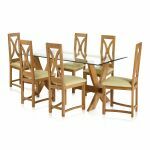 Bring elegance and air to your dining area with our Reflection table and cream leather chairs.